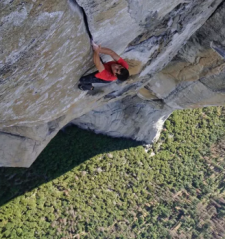 Maybe you’ve seen the TED talk given by Alex Honnold, a guy – actually the only guy – to have ever completed a free-solo (i.e., no ropes) ascent of “El Capitan,” a 3,000 foot, vertical cliff in Yosemite National Park. As a person who has trouble comfortably ascending a ladder to clean leaves out of the gutters, I can’t begin to understand how one climbs a half-mile-high rock wall, knowing that one mistake and it’s all over. What if you sneeze? Or get a cramp? Or (unlikely) some kind of giant bird lands on your head? I wish Alex no misfortune. It just seems to me that given the risks involved in his profession, this is not a man who is likely to pass from natural causes. I don’t think you’ll be surprised to learn, then, that when it comes to running my business, I take the exact opposite approach: There is no single thing that can happen – or not happen – that can cause everything to come tumbling down at once. And while it may not be edge (or even middle) of your seat TED Talk-worthy, it strikes me as a pretty good formula for sticking around as a “free solo” for years and years. One of the things I like most about working alone is that you don’t need to convince anyone else before taking action. You don’t need a proven idea, you just need an idea.This newsletter, for example. I started doing it back in 1999 because I liked writing and email was cool. And even though today, it has evolved to become the main engine of all my marketing, at the time I had no evidence to suggest it was worth the effort or money involved. But it doesn’t matter. While often ego-deflating, few things you attempt will be fatal. As long as you keep trying new stuff, some of it is going to work. Offer many different products and services. If you’re just starting out, there’s no better strategy than a narrow focus on one specific thing. That allows you to get really good at something and develop a reputation.But there’s risk there too. If that one thing flops or fades – for whatever reason – it’s a long way down. So over time, I’ve tried to assemble a mix of things: live webinars, prerecorded programs, books, coaching, consulting, affiliate programs. They tend to wax and wane independent of each other, so the pendulum never swings too far in either direction. Work with more than one or two clients at a time. About 15 years ago, I had one huge client. At one point, they accounted for 70% of my monthly income. The money was nice, but it was like having a job: One change in their strategy, budget or whatever, and it could all end quickly. For the four years I worked with them, I was never able to relax. Today, I work with 12 – 15 clients at any one time. Partly because I like the variety, but also because I love knowing that nobody has the power to push me all the way off the cliff. Here’s the bottom line. Every solo and small business professional I know has a pretty clear understanding of what they sell, how much they charge and, if hired, how they will go about doing the work. That matters, of course. But what people don’t seem to give much thought to is the system they are creating in terms of how the various client and project pieces fit together. Put another way, there’s a big difference between climbing a 10-foot wall and climbing a 3,000-foot wall. In any given moment, the actions you take may be exactly the same – but the risks involved are anything but. I want to get to the top of the cliff as much as you do. I’m just not willing to try it without a whole lot of rope tied around me. Have you ever had a giant bird land on your head? Send photos. What’s the highest thing you have ever climbed (extra credit if you were doing it illegally)? How many clients do you prefer to work with at any given time? my favorite part in this article: While often ego-deflating, few things you attempt will be fatal. As long as you keep trying new stuff, some of it is going to work. I soooo, struggle with this….slowly getting better! The highest thing I’ve ever climbed was the pine tree in our back yard in Tacoma. I was 7. I got so far up that the branches were very narrow and I was a few feet higher than our single story house. Coming down was a lot harder than going up, and I never climbed that high on anything ever again. I almost fell several times and by the time I reached the swing set under the tree (the only way to reach the bottom branch) I was shaking. While not illegal….definitely a no-no. My mom never knew! I like to have about 3-4 clients at any given time….since I do everything myself, I can’t handle much more than that! That sounds like a scary climb indeed! For a 7 year old…..it was *very* scary!!!! Congrats to daughter Emily for graduating from the University! We only lived there for a year while my dad was stationed in Viet Nam, so I’m not that familiar with the area…I just remember that huge tree! The tree was about twice as high as the house and I wanted to climb ot the top…such a silly kid!!! I never had a giant bird land on my head. Had a seagull poop on my shoulder once, though. My tree-climbing story is similar to Chris’, except I was so afraid of heights as a kid, my mom actually coerced me into climbing a pine tree in our backyard. I think she offered me a buck if I did it. Well, I did, but I’m still not a big fan of heights today. The sweet spot for me is around 8-10 clients at a time. It’s enough to have a safety net, but any more than that and it gets a bit hard to manage. I’m with you on the fear of heights, Ted! Just watches them put a new roof on the house next door yesterday. Nothing I could ever do! I have a class with 250 students per year. I think the suits at my university call them clients. Or maybe customers.. Or marks. (That’s a professor joke). I used to listen to that song about the bird of paradise flying up your nose. I’ve hiked to 12,000 ft. in Montana. We might have had a rope at the top; I don’t remember that detail. I like simultaneously working with with as many clients as possible. Usually that’s three or so, and has sometimes been as many as five. You’re right about the big gigs—I strive for that gold, but all it takes is for one new person to come aboard and make decisions that aren’t in my favor. That’s why self-promotion and marketing has to be a continual effort. And one has to always be on the lookout for the smallest hint f something that might be leveraged into something BIG. For example, seizing the initiative to critique a Windows tips newsletter in ’92 led to a string of amazing opportunities that carried me well into this millennium. Sounds like you’ve got a good handle on things, Chris! I agree, too, about how the small things can lead to BIG things. no birds on my head, although I have been chased by a wing-clipped parrot on a kitchen floor. I would love to have 10 or more consulting clients, so that I didn’t have to depend on each one quite so much….which is definitely riskier. Yes, important to carefully read those trail maps! When I was 19 I climbed about 1/3 of the way up on the Great Pyramids at Giza, which was when I got yelled at by some guards and had to come down. I have a photo, though. Worth it. My client engagements are pretty intense so I don’t have the bandwidth for more than 4-5 per year. Right now I have 2 big ones and I really identify with your thoughts about it being a stressful and scary place to be. I’m working on adding 1-2 more and reading your newsletter and other materials is helping! Thanks. Good luck on snagging those additional clients, Margaret!